Limerick city turned into a sea of rainbow colors on Saturday, July 7 for the Limerick Pride Parade 2018, the flagship event of the festival. 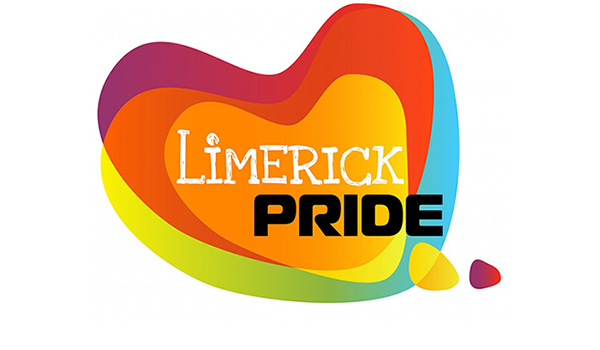 The theme for this year is “We are Pride”, celebrating the people who have worked tirelessly behind the scenes over the years to make Pride happen for Limerick. All of the participants gathered at Limerick City Hall to get ready to walk with pride up O’Connell Street with Richard Lynch, founder of ilovelimerick and the Grand Marshall for the Limerick Pride Parade 2018 leading the way. “Five, four, three, two, one…Happy Limerick Pride!” engines ready, the Grand Marshall led the parade marching through O’Connell Street followed by the employees from Dell, who was one of the sponsors of the parade, young people from Limerick Youth Service along with cheering crowds, exciting slogans and waving rainbow flags. Flapping the rainbow flag, Mr. Lynch called out “Happy Limerick Pride” and “I Love Limerick” to the crowd along the way of the parade. “September 2008 was the first year I worked with Pride and that year it became a week-long event which I called I Love Limerick as I wanted it to be integrative and give the music, arts, and culture of Limerick a platform. That Pride was the birth of ilovelimerick, which will officially be ten years old this September,” says Richard. A 300ft national pride flag carried by marchers was unfurled down O’Connell Street. After the parade, the Pridefest party began at the garden of Hunt museum in the rhythm of cheerful music and pleasant laughter. The Hands in Harmony Dead Community Choir played a breathtaking performance as the preheat for the Pridefest, while performances by drag queens and the annual tea dance led by Myles Breen brought the party to a festive climax. Limerick Pride Chairperson Lisa Daly and the Grand Marshall, Richard Lynch gave speeches during the party. Richard Lynch said that he was proud to be selected as the Grand Marshall for the pride this year. Talking about why we are pride, the Grand Marshall stated that more effort still needs to be taken. “People ask why do we still have Pride since marriage equality was passed in 2015. We have a Pride because there are people in Ireland that still experience hatred because they are LGBT. Especially in the transgendered community. Some people, especially in rural areas, still cannot come out and stand proud because of their personal circumstances. We need to be role models for them, so they know they are not alone. On an international level, people in Russia and other countries are being murdered and executed because of their gender identity, because of their sexual orientation. It’s not fair, and it’s not right, and as an LGBT community, we need to stand together in solidarity,” said Richard. LGBTQ culture is now becoming more mainstream in Ireland and further acceptance of a gender and sexuality needs to be applauded.